Happy February! 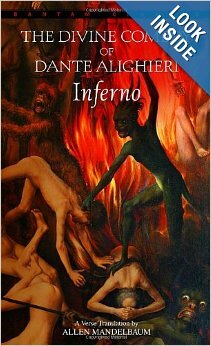 This year marks the 700th Anniversary of Dante Alighieri's Inferno, the first cantica of The Divine Comedy. Inferno is considered one of the great classics in literature and is on Susan Wise Bauer list of Poetry in Well Educated Mind. I've never read it, so figured now would be the perfect time. And as long as we are reading Inferno, why not go to Italy. Plus I'll be continuing with my Centuries challenge and exploring the 13th Century this month. More on Italy and centuries challenge next week. Dante was born 1265 in Florence, Italy. When he was 9, he met and fell in love with Beatrice Portinari who became his muse and central inspiration for all his major poems, even after her death in 1290. At the age of 11, he entered into a marriage contract with Gemma Donati and married her in 1285. Beatrice continued to be his focus of his poetry as the ideal lady even though she married and eventually died at the age of 24. Due to his politics, he was exiled from Florence and eventually made his home in Ravenna. 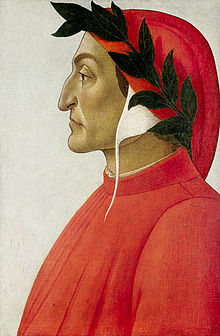 Dante died from Malaria at the age of 56 in 1321. I'll be reading this version of Dante's Inferno translated by Allen Mandalbaum which has the Italian version on the left facing page and the English translation on the opposite right page. You can find out more about Dante and read Inferno online here, here or here. 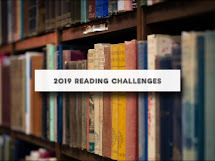 Join me in reading Dante's Inferno. I'm starting The Inferno too this month ~ the second time round. I can't wait to start the journey with Dante and Virgil! I have been dipping into Anthony Esolen's translation which also has the Italian on one side and English on the other. He has a fantastic preface and analysis as well. I hadn't heard of Esolen's translation. Will check it out anyway! I still need to read Keeper of Lost Causes. I think I read this one years ago in school. Do you remember what you thought of it? I began The Inferno years ago; I got distracted by my kids and never got round to finishing it. I enjoyed what I read of it - really must put it back on my reading pile.